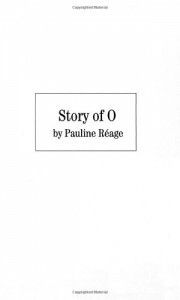 So I'm reading a book that mentions Story of O and I realized I'd never added this book. The story is actually probably closer to a one star read for me but I had to add an extra star for the fact it was very groundbreaking for a lot of what I read today. If I've ever hated a man more than Rene in a book, I can't recall it at this time. Not a book I personally recommend for the story but when it comes to Erotica....I guess it would be a classic. So if you're one to endure the classics, give it a go!